Better Tasting Coffee Makes for a Better Morning! This eye-popping stovetop coffee maker allows you to quickly make great tasting coffee and espresso in the morning. Getting your morning started has never been more enjoyable! 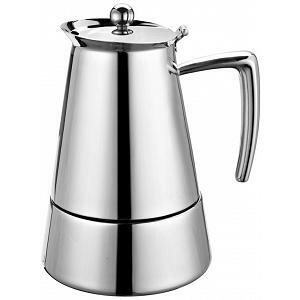 Made from sturdy and heavy gauge 18/10 stainless steel, the stovetop coffee maker has a stunning mirror polished finish. 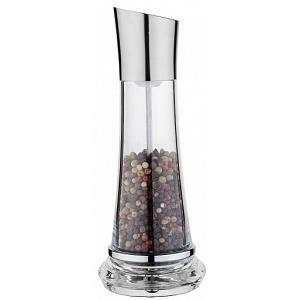 Its comfortable handle allows for easy pouring. You will be able to make coffee on all cooking surfaces, including induction. One reducer is included. The Barista stovetop coffee maker from Cuisinox has a capacity of 6 cups (1 cup = 1.5oz of coffee) and a diameter of 10cm / 4 inches. Its strong 5 year warranty tells you that this espresso coffee maker is built to last.